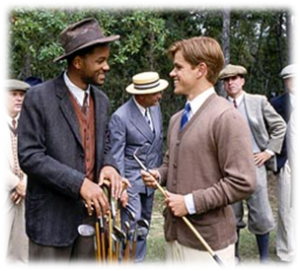 The other evening, my parents watched The Legend of Bagger Vance for their “date night” in our living room. “It was a good movie,” my mom told me afterward. It’s funny. I had picked up very little of the storyline from the bits and snatches of dialogue I’d overheard. But just from listening to the music, I gathered that this film was one of depth, quality, and emotional poignancy, one I’d like to see myself. The next day, driving to the home of one of my tutoring students in my dad’s van, I fumbled with the radio buttons and ended up accidentally switching on a CD that was in the player, the soundtrack of the movie The Man from Snowy River. As the score swelled and filled the van, I was suddenly transported back to writing my first novel manuscript, Beneath a Turquoise Sky. For some reason, that soundtrack had helped me transition into the world of my characters, had somehow captured their heart and hope, longing and poignancy, even–despite its Australian background!–the open mesas and cloud-studded skies of my northwest New Mexico setting. And hearing that music again, I missed Tse and Caroline and those hard but sweet days of first etching their story into a full novel. Music can tell stories. And perhaps even more, it can help us tell them. Maybe that’s why, though I love many straight plays and movies, musical theater touches my heart so deeply. It’s hard for me to imagine experiencing Les Mis or The Sound of Music without the soaring scores that capture the emotion of these sagas so well. In that way, of course, I’m at a disadvantage in writing novels—there isn’t a method, as far as I know, to pipe a proper soundtrack into the pages of a book! But though I know it’s not true for all writers, listening to certain music while I write—especially certain difficult scenes—helps me connect with the emotions needed and transfer them into words. And hopefully, someday to the reader as well. So for each manuscript I’ve written so far, I’ve had music to keep me company as I write and help me get into that story-world. 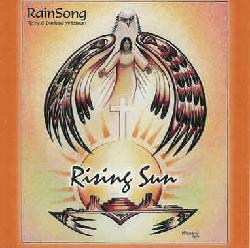 For Beneath a Turquoise Sky, in addition to The Man from Snowy River, I listened over and over to RainSong’s album Rising Sun. For Remember the Wind, about a Navajo Code Talker and a young couple expecting their first baby—with spina bifida—the scores of Rodgers and Hammerstein’s South Pacific and Carousel frequently kept me going, I think because of the WWII setting of the first and the poignant themes both musicals wrestle with. I listened to Rising Sun again too—somehow Native American worship music often seems to help me with writing from Native characters’ points of view. And now, beginning a novel set in Fort Tejon, California during the Civil War, I’m gravitating toward the Civil War musical Shenandoah, as well as a Bound for Oregon album featuring both pioneer and Native American music. I’ve also ordered a CD of African American spirituals. So what about you? What are some of your favorite movie soundtracks? Is there a piece of music that always takes you back to a certain memory? Why do you think music holds such storytelling power? Please comment and share! I think The Man From Snowy River was one of my favorite movies growing up! What fun to see how much you enjoy the soundtrack. Now I have a hankering to give it a listen… it’s been so long. I think music can play such a huge role in story telling. I don’t think I ever write without having it on these days. How to Train Your Dragon is one of my favorites. Along with Little Women and Last of the Mohicans. Also Cold Mountain. I’m working on a story right now that involves wild horses (which is one of the reasons I was in the mood for The Man From Snowy River 😉 It’s a contemporary, so I’ve been researching some of the areas involved in the southwest. Mainly California. I see you have Fort Tejon as the setting of an upcoming novel. Is that in the area of Tejon Ranch? I’m wondering if it might be the same place. I only ask because I’ve been looking at photographs from that area and it’s so beautiful. I’m looking forward to reading one of your books someday! Oh, I can imagine that writing a story with wild horses would whet your appetite for The Man from Snowy River! Your story sounds intriguing. And yes, Tejon Ranch is very close to Fort Tejon–pretty much across the road, I believe, though I still don’t know a whole lot about how the ranch’s history intersected with that of the fort. I believe it may have taken over some of the fort’s land after it closed, but I could be mistaken.